I will answer in English. Sorry, I do not speak German. But I wanted to write here because this site has helped me a lot to make this graphic. Hi. Saidly I can't see any pictures in your Post. Now it is visible. But I am not quite sure, what you want to stay with this statstic. But in except from that: I am happy that you like our little webpage. 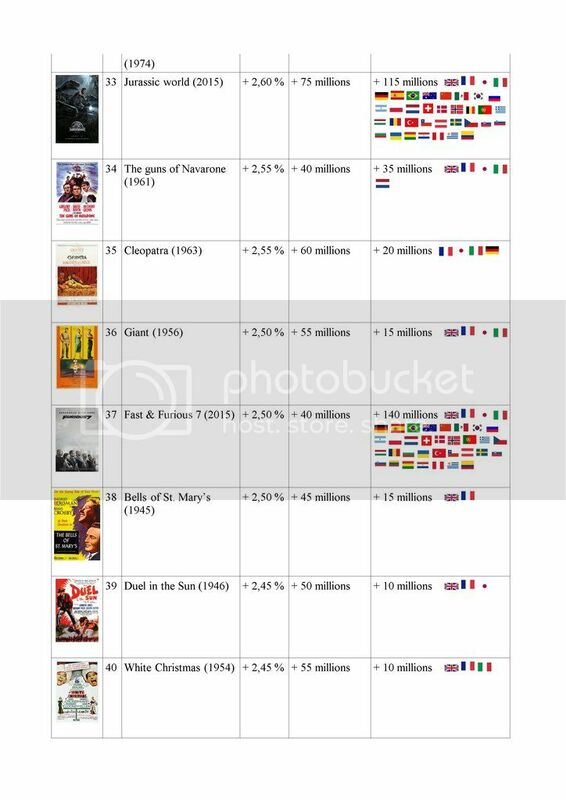 This statistic shows the attendance of these films in their initial release (without any re-release) in the United States. And also the assistance in the countries that I could find with data. And the positions are passed in their assistance in proportion to the world population in the year of its release. 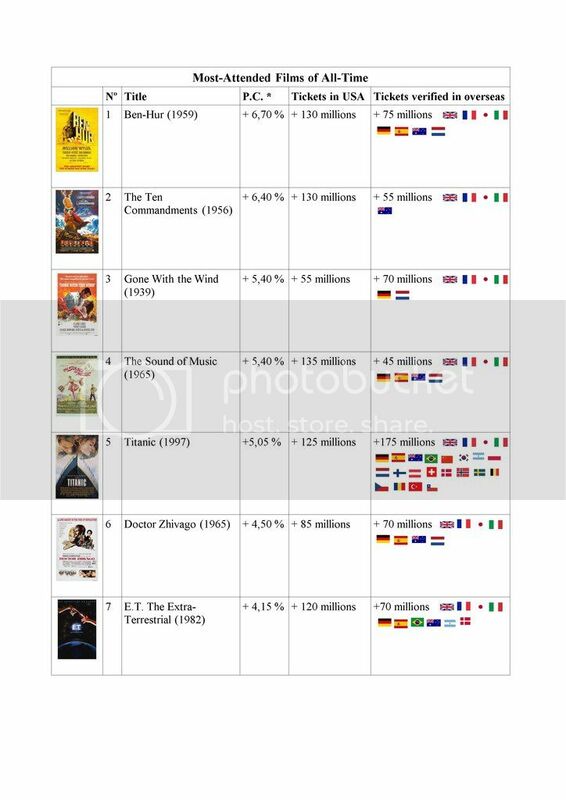 Hopefully we will get new information on the insidekino of the movies released in Germany between 1950 and 1962 to improve and complete the graphic. 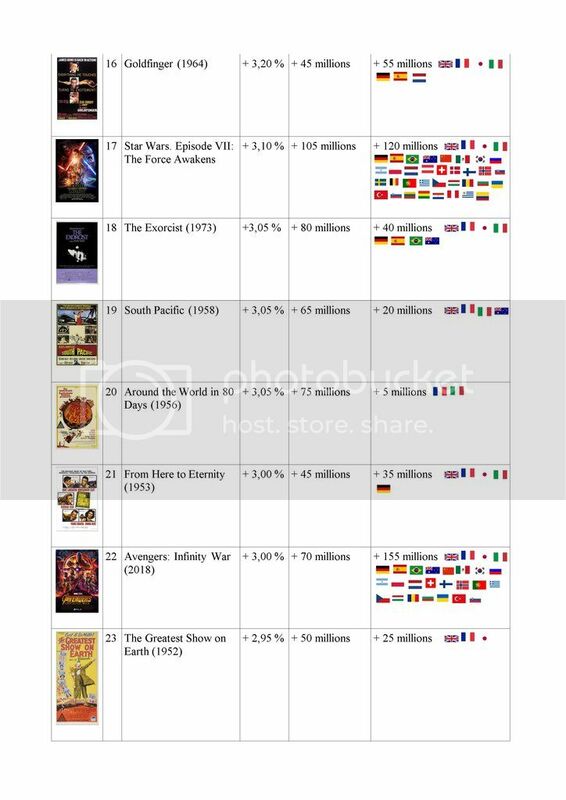 If you know of any movie that I have left the assistance of any country decide me. I think for further statistics of the date between 1950 - 1962 a personal message to MarkG would be perfect - the founder of this webpage. Thanks for reposting your graphics. I deleted the old ones. What the numbers are based on? Are the admissions adjusted for inflation? What happened to Sergeant York in the UK? Minus 5 Millions? The numbers are based on the number of admissions in their initial release (without adding any re-release) in the United States. And in the rest of the world (according to the countries that had data). 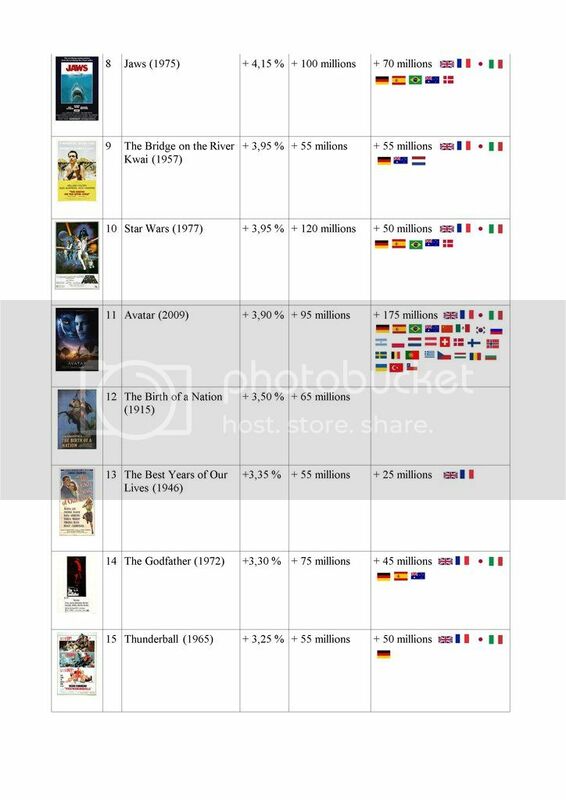 The insidekino listing is very good. But add all the re-premieres. I have been debating the admissions of the opening premieres of the great classics in this post. Sergeant York was the seventh highest grossing film in the United Kingdom in 1942 as I read.